C. F. Gollott and Son Seafood, Inc. Interesting fact about the business: 75 tons of ice are produced daily to keep 150,000 pounds of shrimp cold. Within the shrimp industry, the commonality of a family-run business holds as much pride as the Wild American product they harvest from domestic waters. Of course, not all processing plants that line the Gulf and South Atlantic have a rich story of family history, but C.F. Gollott & Son Seafood based in D’Iberville, Miss., embodies a heritage of generational blessings that have been passed down decade after decade. In the Gollott family, shrimp is a fundamental way of life. In the Gollott family, shrimp is all they have ever known. And truth be told, they wouldn’t have it any other way. Operating a successful family business since 1932 takes a lot of passion, determination, skill and commitment — traits exemplified by founder C.F. Gollott that have continued to provide a solid framework for the longstanding business. C.F. grew up on the Gulf Coast during a time when the area was known as the “Seafood Capital of the World.” He never met a stranger, which was a valuable asset when he began the business by selling shrimp from his truck. Eventually, he established a route around the state that brought oysters, crab and shrimp to customers who didn’t have waterfront access to fresh seafood. Although he never made it past the third grade, his knowledge of the bustling industry and brilliant mind full of witty inventions positioned him to be one of the founding fathers of the seafood legacy on the Coast. His knack for tinkering led him to design an oyster grader and crab washer, and in his spare time, he excelled as an accomplished drummer who never took a music lesson in his life. When C.F. started the company, it was very labor intensive, and various types of seafood were processed in the factory, but by the mid-80s, Arnie Sr. transitioned the plant to a full-time focus on shrimp. Since then, state-of-the-art equipment and modern technology have become a vital part of the operation. During the seasonal months, 75 tons of ice are produced in house and more than 150,000 pounds of shrimp are processed daily. Now well into fourth generation strength of family employees, this seasoned band of Gollotts continues to glean from and foster the principle that family is a valuable commodity. 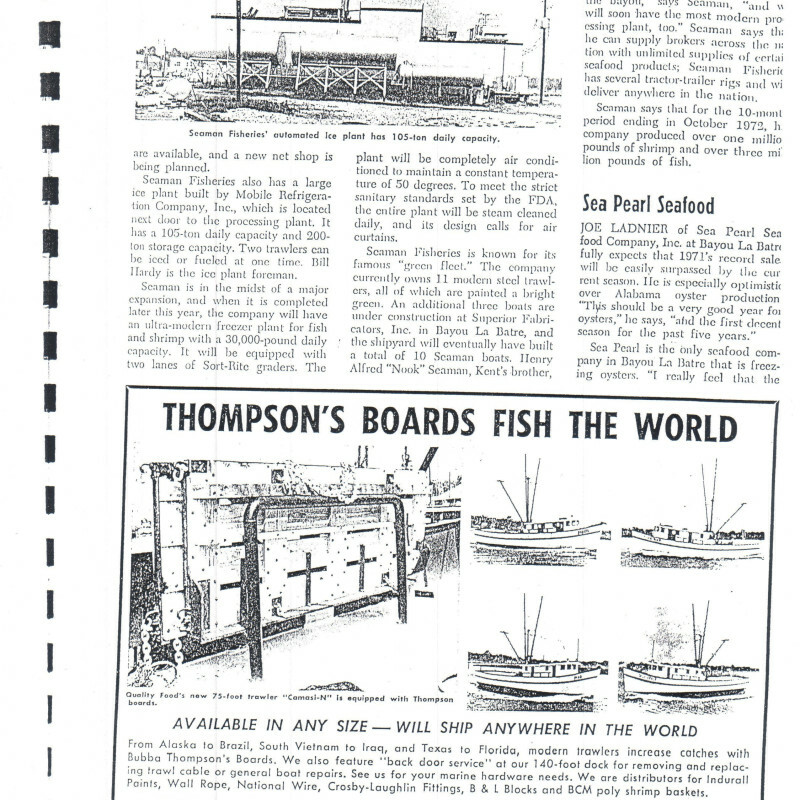 In 1982, Gollott & Son Seafood was honored for 50 years of business. In 2007, the family reached the 75-year mark. As the Gollotts continue to pass down the generational torch, there is no doubt the upcoming centennial celebration in 20 years will serve as a grand testimony of a family whose commitment to each other and to consumers stands as a pillar of excellence — a worthy story about seafood industry heritage.